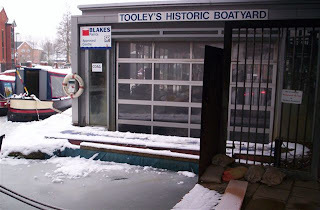 Tooley's Boatyard, Banbury: The Big Freeze! Well this year has got off to a cold start! At the moment we are frozen in. 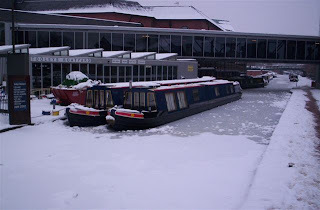 The boat in the dock was supposed to have come out on Monday, but the ice is too thick and we do not want to damage the new coat of blacking. The next boat to come in cannot reach the dock anyway. So we will have to wait for things to thaw out. We also have a boat with a hole in the hull who cannot make it to the dock. It will be good to get them in the dock and make them water tight. We have been kept busy doing various call out work. One job was an emergency call out down to Lower Heyford. 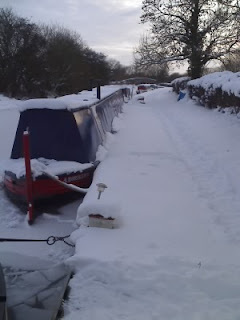 The boat had an exhaust fitting that was perished, but the weight of the snow on top of the boat caused the boat to sit further down in the water and it started to take on water! our deliveries were reduced due to the snow and I had trouble getting a part, so i picked it up myself but i could not make it as the roads were blocked - so i had to walk the last mile. Another job we are doing is replacing an engine. The customers engine block cracked when the temperature dropped below -15. 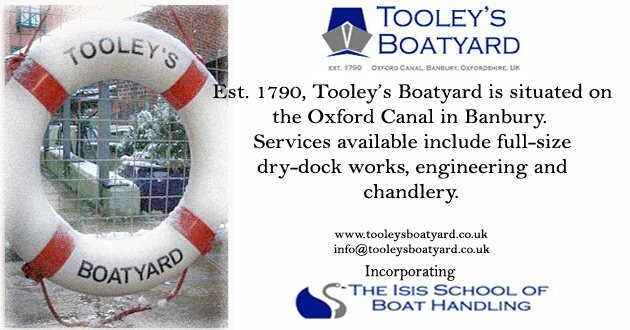 If you have left your boat over the winter it will be worth checking it over. Common problems that can arise with this cold spell can be battery problems, frozen pipes and heaters. Make sure that you check your engine over before starting. If you are worried about anything then give us a call - advice is free!